For anyone that's interested, I did a little bit of experimenting yesterday (using the debug screen) to see what affects your park value. Interestingly, food does NOT count towards your park value. i.e. When you buy food, your park value goes down by the amount you spend. However your park value DOES increase when you feed that food to dragons (only when you increase a dragon's level though, not for individual 'feedings'). I only had a few minutes to toy around with it, and didn't record the value, but levelling one dragon to level 15 (from level 10) increased my park value by ~$28m, which works out to approximately $50/unit of food I fed. So it makes me wonder whether feeding dragons gives you a fixed increase in $ value, or whether it increases by the cost of the food you bought. This gets very tricky though when you consider that you (generally) pay different amounts for food, not to mention food won through dragon racing. When I get a bit of time, I might experiment a bit by levelling a single dragon from Level 1 to Level 20 recording the increase in park value for each increment. I also want to toy around with seeing what happens when you breed dragons (does park value increase for a new dragon? ), when you hatch a dragon, when you sell a dragon and some other things (selling habitats, buying / selling decorations, dragon eggs etc etc). Not sure if anyone has ever looked into this before, but I find it quite interesting. I've noticed some of my friends have all time high park values literally 10's of billions of dollars higher than they currently have. I have no idea how this is possible, unless you are sitting on a MOUNTAIN of food or unless you've bought and sold decorations repeatedly. I'm not sure what else could negatively impact your park value, but I'm interested to find out. Just saw this post. Gems used together amount you had. Since the Huge habitats were introduced they changed it to factor in the amount invested, I'm guessing because for the first time you could sell a habitat and get gems in exchange. Park value goes up according to number and type of dragons you have. And also what level they are. I think it's something like twice the sell price + 200 DC buy a Plant dragon and see what it goes up by to work it out. Feeding one up a level should be easy enough to work out the amount you gain compared to the food you used. Pretty sure it's a fixed ratio there. Clearing out your HC would be a good way to drop a lot of DC. Not sure how pedestal eggs ffect things, but that should be easily testable as well. Shrines would not factor in as they reflect dragon levels that already are factored in of course. - You typically don't keep all the dragons you use to level up the shrine. So when you sell the dragons, you lose the park value associated with that dragon. But is there any park value in the shrine? - You can upgrade the shrine with gems. So how does that factor in? Also, dragons can count for multiple shrines, so that might factor in. You would think that a shrine would add some kind of fixed value, say $50m for a silver shrine and $500m for a gold or something like that. Hard to test though, as you would need to have an account that hasn't bought ANY of the shrines, then instantly level one of them up to silver and gold. Could be done on a test account tho I guess. If you level it instantly with gems, you could see if the shrine has any value (as there would be no increase in park value from levelling dragons). If you did it by levelling dragons, you would have to substract off the value you would have gained by levelling the dragons anyway. 5.8 billion coins but only level 43 and 10 million treats. no dragon above level 10. 2940 gems at this moment. thats good to hear, the only problem with getting level 20 dragons is that they don't help me out in making dragon coins. Myke is a good guy. I'm at around 725,000,000. I have flirted with as much as 785,000,000, or so, but buying the a few of the new huge habitats and leveling dragons beyond 15, not to mention leveling up the new epics and gemstones, helps keeps the balance down. I haven't bought the eighth island yet, either, so I'm going to be near-broke soon enough, when I give in and buy it. I don't play particularly aggressively and haven't maximized possible earnings, to say the least. I have an island full of Panlongs, for example, 18 of them, but I don't clear the coffers anywhere nearly as often as I should to make the most out of the island. Other islands, however, do feature habitats and dragon placements designed for both display of favorite dragons and maximum earners. I love my huge lightning habitat full of high-level cactus dragons, one of my faves among the sillies, and they earn big bucks. But my playing style and goals vary and change depending on my mood, how successfully my breeding plans have been going, and how obsessed I am at any given time with the two other games which absorb my attention. Considering a renewed interest in some real life activities I've spent a lot of time on time on in the past, I'm spending somewhat less time gaming in general. So, I knit more and occasionally check on earnings during rest breaks for the old wrists, and the games roll along a little more slowly, but that's ok. It's all for fun. I can confirm that food fed to dragons increases park value by $100 cash per food. So this means that levelling a single dragon to level 20 will increase your park value by over $1b! I was a billionaire before the new island became available. Now I have reclaimed my billionaire status and use all cash above one billion for food. I have only crowned three dragons, my Coliseum dragons. Hi, which three dragons do you use for the colloseum? Are you suggesting it matters what dragon you put in to the Collosseum apart from the requirement of having the right element, and being the highest level you have in your park? Isn't the dragon cash reward you get along with your gems based on the dragons DC/min? The dragons I suggested have the highest (unboosted) DC/Min for their respective element. Yes, this is correct. A dragon earns his unboosted DC/Min for 24 hours. However, it costs so much to Level a Dragon up to Level 20, that you will never recoup the costs of feeding up 4 Dragons instead of 3, if you are looking at it from a fiscal POV. Panlong/Bloom were a holdover from when their were only 7 elements, and Copper was the choice for Metal before the Opposites were available. What use is there in making billions of dollars if not to raise level 20 dragons? The most expensive purchases in game are islands 6, 7 and 8. That means I'm I'm pretty well set til they release a 9th island. At present, nothing else in the game costs more than a few million, so I can buy any decorations I like as they are released. It's not like we earn interest. In a way, saving large quantites of DC actually costs you money in the long run, since higher level dragons earn more DC per min. I consider it an inevitable, if very long term, goal to raise all my display dragons to level 20. Ultimatly, the ones I listed above sinply represent an ideal starting point. Yeah, I recognize the historical president for it. It's still a pretty good strategy too. - Terradiem/Butterfly for Air. Rose is a close second. If you don't have access to any of those limiteds, Thunder becomes the best choice. - Terradiem is also ideal for Earth, with Century/Clover tied for second. If you don't have accesse to any of those limiteds, Quake becomes the best choice. Personally, I'm more of a relaxed player. I don't like the orbs/crowns above the dragons heads so I rarely feed them beyond level 10. They don't earn as much, but The habitats still get pretty full the couple of times a day I check in. Plus, I need so much less food, that it doesn't matter. If there was data to show that higher level dragons were better for breeding limited/epics I would play a different way, but there isn't at the moment. Each to their own. I read on the wiki that for the Colosseum using a dragon with the correct first element is better (in other words, with a pedestal of the competition element). Anyone know if there is truth to that? I am only a silver shrine player so only level 15 for me. But I seem to win enough golds in the Colosseum that I am wondering if level 20 dragons are worth it even for the Colosseum. I have been tracking my results in the Dragonvale Database to try to see which dragons seem to work the best. I have mostly been doing level 15 base dragons. But as Bloodstone said, if there is nothing else to do in the game then you might as well crown some dragons. I am just pretty far from that at the moment. I also don't have any four element dragons yet. I believe I've read that pure element dragons do better than basic hybrids of the same level. 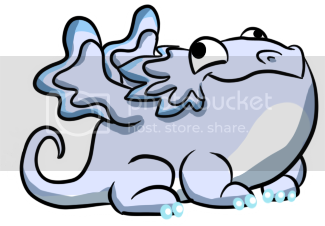 It's also speculated that limited dragons have some kind of bonus. I've never really seen evidence of this though. I mostly won gold using basic hybrids for quite a while before I started getting better options. There is a complicated calculation that happens when you put a dragon into compete in the Colosseum. Basically, as your park value increases, the higher level a dragon you need to compete. There will come a time when you start getting Silver medals. When that happens, you need to level up your competing dragons beyond 15. I have never been a DV billionaire. I probably never will be one. Once I hit the 600M mark I crown a dragon! I've got four currently... so you could say that I've chosen to invest my money in dragons. As Bloodstone pointed out, you don't earn interest in DC, but raising dragons to lvl 20, does provide some return on the investment. I'm a half billionaire right now, but that'll change soon. I'll be crowning another dragon this weekend probably. Is the actual calculation known? Does there come a time when your park value increase to the point that even crowned dragons no longer consistently win Gold? How wonderful. Well at least I have that to look forward to. Have my 2 billion now. Will no doubt be crowing the Bearded Dragon asap though! Personally, I use Panlong/Paper/Current/Malachite for the Colosseum, all Lv 20, and I have never gotten a Silver.